Arizona State Legislation ARS 36-136 (H)(4)(g), requires food workers to acquire a food handler’s card. However, Arizona food handler’s card requirements varies by county, and the county has the authority to establish food safety regulations. Each county works with different third party vendors to provide training courses and administer certification exams. Food workers are highly encouraged to receive proper training about safe food handling practices even if they work in a county that does not require a worker to obtain a permit. Knowing how to safely handle food is essential in preventing foodborne illness or outbreaks which can cause financial constraint as well as public relations nightmares as demonstrated by Chipotle’s widespread outbreak and aftermath. On the state level, at least one Arizona food handler in a food establishment must be a Person in Charge. Typically this is the business owner who holds the food establishment license but a hired employee may be appointed the Person in Charge as well. The Person in Charge must be present at all times of operations to oversee that fellow Arizona food handlers are preparing and handling food in a safe way to prevent contamination. Additionally, the Person in Charge must demonstrate knowledge of safe food handling, application of the Hazard Analysis Critical Control Point (HACCP) principles, and knowledge of the Arizona Food Code. All food establishments in Arizona must obtain a food establishment license. The definition of a food establishment is a behavioral health facility that provides food services to more than 10 people on its premise. To obtain and keep the food establishment license, businesses must comply with the Food Safety and Behavioral Health Environmental Standards Regulations which can be found here. In order to show proof of license, the obtained Arizona food establishment permit must be present on premises at all times. Although certification is not mandatory in all counties, Food Managers must demonstrate knowledge. Requirements on obtaining a food handler’s card in Arizona vary by county. In case the county does not require workers to receive proper food handling training, workers and restaurant owners are encouraged to educate themselves about best food handling practices to keep their food establishments clean and safe from outbreaks. See below for county specific regulations in Arizona. The training course costs $49. Course mainly focuses on key food safety principles including personal hygiene, microbiology and food safety, control points, cleaning and sanitizing, chemical and physical controls, and many more. The training course costs $10. Course mainly focuses on food safety principles including prevention of bacteria from multiplying, prevention of contamination, and adequate cooking temperatures. The training course costs $249. Course mainly focuses on topics including physical and chemical hazards, hazard analysis, corrective actions, verification procedures, and many more. The training course costs $99. Course mainly focuses on topics including physical and chemical hazards, hazard analysis, corrective actions, verification procedures, and many more. Check with your local certified training course provider. 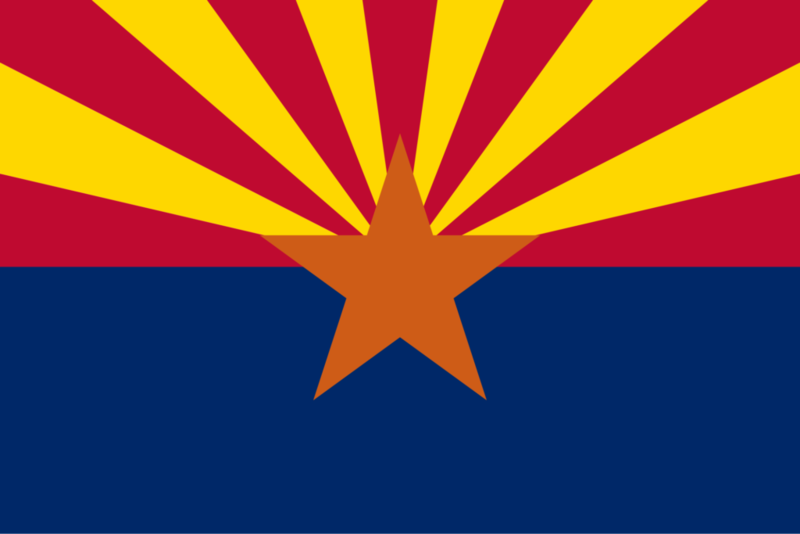 Arizona has started the Home Baked and Confectionary Goods program to boost its local economy and empower residents of AZ to commercially sell home baked products. At the same time, the states needs to ensure consumers do not contract any foodborne illness. Entrepreneurs interested in converting their home kitchens to sell baked goods commercially will require a food handler’s card. In addition to obtaining a food handler’s card, participants must registers with the program online. Once registered, participants will receive a confirmation email. While selling home baked and confectionary products, individuals must comply with product labeling requirements and productions guidelines. To find out if you are a registrant in the Home Baked and Confectionary Goods program, check Arizona Department of Health Services database.